Acting on credible source information, Rangpo Police on Thursday conducted house search of one Arjun Thakur (29) at Mandi Bazaar, Rangpo maintaining proper legal formalities and recovered 279 capsules of Spasmoproxyvon from his house. Cash Rupees14450/- suspected to have earned by selling contraband drugs was also recovered from his house. 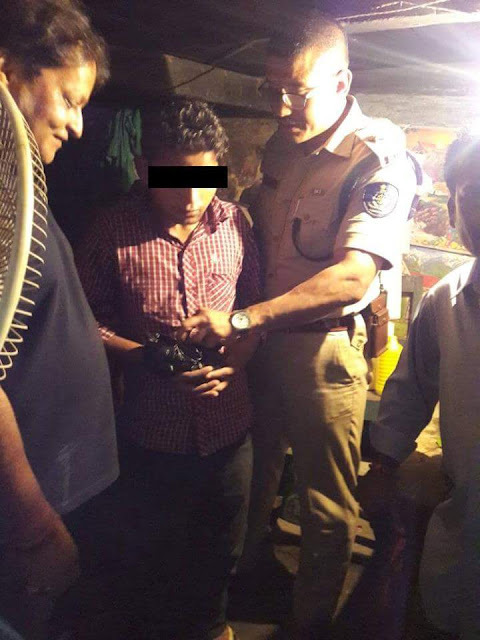 A case under relevant section of Sikkim Anti Drugs Act, 2006 has been registered the accused.